Call yourself what you are! I give you permission! 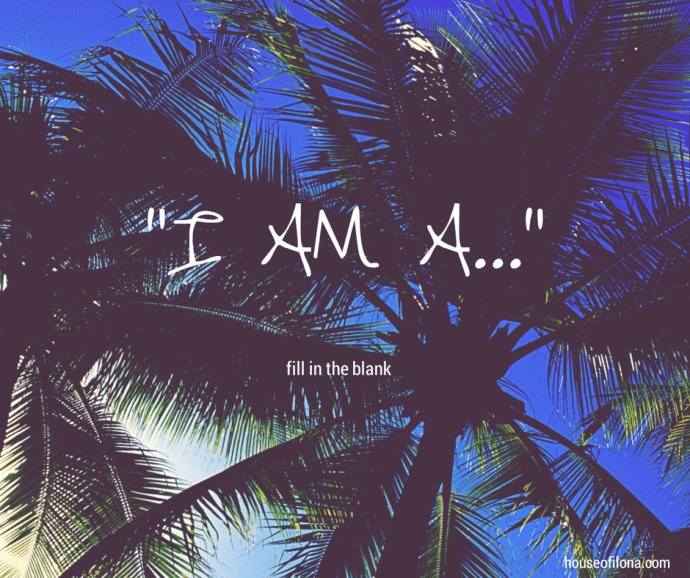 Say it out loud… I am a… (fill in the blank) preacher, teacher, prophet to the nations, designer, singer, writer! I knew exactly what she meant. This is something I struggled with for a long time! I didn’t feel worthy of the title “Fashion Designer”. Yes I studied at the London College of Fashion but I did Fashion Business and Marketing (not design). At the time I worked for a fashion label with 2 other designers and did as much design work as them but it took me a long time for me to accept the title, but it was exactly what I was doing! So, I am a Fashion Designer! That’s not hard any more. Recently, someone called me a Writer! What? A writer? Am I allowed to call myself that? LOL. The answer is Yes, because that’s what I’m doing right now! I study it, I practice it daily and I want to get better at it; and one day write books. I am a writer, hmmm, sounds good! What are you? Call yourself what you are. Abraham and Sarah were a very old couple in the Bible, well past the age of having children, running around calling themselves “the mother and father of nations”. But guess what they had a child and what they said is exactly what they became! Speak it! This entry was posted in Blog and tagged @houseofilona, my purpose, who am and what i do.